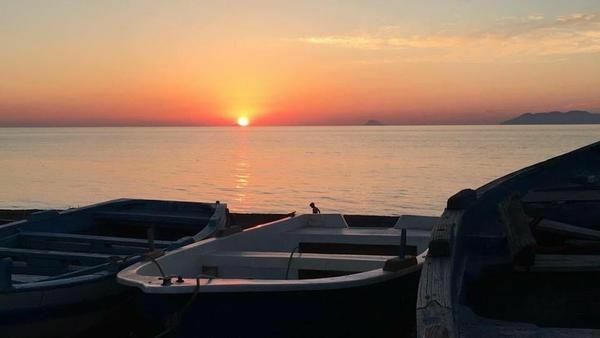 The apartment is located in one of the most beautiful bays of Tyrrhenian Sicily between the Gulf of Tindari to Capo Milazzo right on the beach. From the terrace you can admire the Aeolian Islands and the beautiful sunsets. Flat screen TV sat, air conditioning. Fan, vacuum cleaner, electric coffee maker, coffee maker, electric oven-microwave, dishwasher, blender, toaster, electric grill, barbecue, fridge freezer, hair dryer, iron and ironing board, clothes horse, beach umbrella, smoke detector, first aid kit. The apartment is located directly on the beautiful beach of Marchesana. In the immediate vicinity (150 \ 200 m) is a bar, restaurant, pizzeria, sandwich bar, tobacco, hairdresser, beach. Approximately 800 m. from the village center, where all offices, banks and supermarkets are located. 1km from the thermal center "SOURCE OF VENUS" (with sulphurous baths, thermal baths, inhalations, ...). 100 km from Europe's largest volcano "Etna"
Towels: to rent once per person for 10 EUR (optional). Cot: to rent once per person for 20 EUR (optional). Pet: per animal per week costs of 20 EUR (optional). Linen (once per person, available 10 EUR). Towels (once per person, available 10 EUR). Cot (once per person, available 20 EUR).